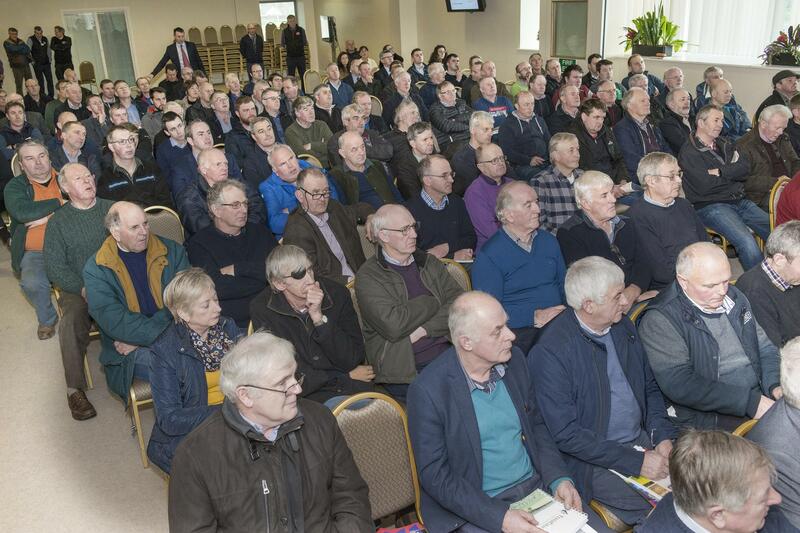 Addressing Dairygold’s Tillage Conference at the Corrin Event Centre, in Fermoy today, Head of Dairygold Agribusiness, Liam O Flaherty announced a minimum green contract price for Beans of €210 per tonne noting that the minimum price guarantee is a welcome step towards enhancing growers’ incomes. He also noted that Beans had multiple benefits in the wider farm crops rotation. James Nolan, Senior Trader, R & H Hall addressed the factors impacting grain prices and noted that the coming season is going to be driven more by politics than potential yield with trade wars and Brexit all having a potentially adverse impact on grain prices. James also stated that stored volumes of “Old Crop” will reduce demand for 2019 wheat and barley but this could be mitigated by weather, politics or other factors. Advising Malting Barley growers looking to avoid rejections at the weighbridge, Ciaran Collins Teagasc Tillage Specialist said; “High yielding crops with an early harvest date are more likely have lower rejection rates. The average acreage planted in 2018 fell by one third due to a lack of planting opportunities last spring.” Examining the profitability of different crop options for the 2019 harvest Mr Collins cited beans as one of the most profitable options available with ancillary break crop and soil health benefits. Tracey Creasy a breeding expert from Syngenta in the UK also offered some future orientated insights stating; “Over the past 20 years we have seen great improvements in Irish malting barley varieties with improved yields, disease resistance and agronomic traits. Spring barley breeding has developed significantly over the past 15 years allowing breeders to be more responsive to market needs, environmental challenges and to produce more adapted varieties that are more profitable for growers.